Many in the field of search engine optimization have heard of – and maybe at some point even used – black hat SEO strategies to boost their site’s ranking. While no one would do this knowing of the penalties that ultimately can be imposed upon your site by search engines, the danger of such practices can still loom for a webmaster. Competitors will sometimes employ individuals to bombard your site with spammy comments that can lead to your site being downranked by Google, Bing and others. How can you protect yourself from such an attack? We will outline the main strategies you can use to guarantee “sunny days” ahead for your site or blog. Negative SEO is a generic term for any action that can lead to a downgrading of a particular site or blog by search engines. In the case of Google, these actions are outlined in the Google Webmaster Guidelines. Some of the most common negative SEO strategies include filling comment pages with spam; many webmasters have comments automatically enabled and approved, making this an even bigger problem if you are suddenly the target of malicious competitors. Another less used tactic includes hacking or compromising the site in question, gaining access and using said access to sabotage the website’s rankings from within the control panel. If you leave your pages’ settings at default, you may notice that comment boxes appear on every page – especially when using software such as WordPress. One of the best ways to protect yourself from attacks is to disable comments on pages where it is not necessary. You can also utilize social networking comment add-ons that keep the links from being directed associated with your site. Google has also released the Disavow Links feature, which allows webmasters to report select comments as spam and will absolve you of any repercussions from said content. Pingler’s Link Analyzer Tool also helps you gain more information on each questionable link you find on your website. Are you curious as to whether your site has been targeted or affected by black hat SEO strategies or link spam? There are quite a few different tools available on the internet, but the most effective ones come with a price. The most recommended tool out there is Ahrefs, which searches your site and determines whether there are any questionable practices going on throughout the domain. One of its biggest helpers is the Referring Pages section, which will categorize each outgoing link on your site. You can categorize this by link or by anchor text. By using good, solid tactics to obtain credible link building for your homepage, you significantly reduce the risk that an attack can spoil your entire website. 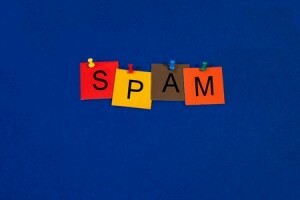 If your homepage is infiltrated or overrun by spam comments, it can wreak havoc on the remainder of the site. The more credible links you have, the less of an effect spam comments will have on your site. Make sure that there are no comment sections on your homepage! This may prove especially difficult for bloggers, but creativity can make this work. SEO in 2019 – What Can We Expect? thanks for sharing this important information ,it will help me a lot in future for boosting my site’s performance. I only know little about negative SEO and I do receive spam comments and your article helps me aware of this stuff and thanks a lot for this information. I am trying to start a Slide Show/Wedding Photograraphy business and I am looking for a Creative Web Designer who can create a web site from scratch.I need someone that is affordable! thank you for sharing this article, can really help me in managing my site to be better and avoid all kinds of spam. What you wrote here has hit the bull’s eye and I really appreciate. I tried many times to delete the spam comment and of course, I hated it but now I just know that I have to disable the wordpress comment and integrate the social comment such as Facebook.